Home Editor's Pick Did you know that there are countries even smaller than Ahmedabad? Did you know that there are countries even smaller than Ahmedabad? India has 29 states and 7 union territories which roughly consists of 640 districts. 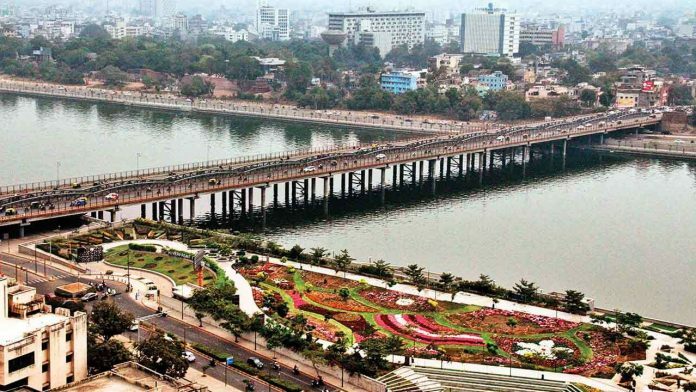 Our Ahmedabad, nicknamed as “ Amdavad “, is one of those 640 districts. Ahmedabad has an area of 464 sq. km and is home to 55.7 lac Amdavadis. But did you know that there are countries in the world which are even smaller than Ahmedabad in size and population? Well, there are 16 countries in the world smaller than our Ahmedabad. Here is a list of all those countries! Republic of Palau – The Country with Underwater Wonders. Historically known as “Belau”, this island country is located in the western Pacific ocean. 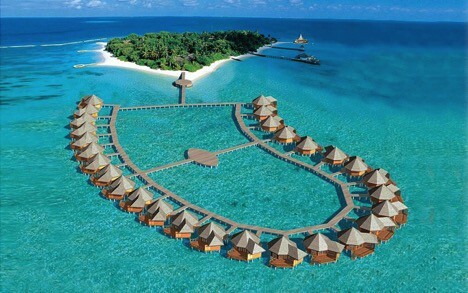 It is a group of 340 islands and so it is famous for its aquatic beauty and underwater adventure activities. The country was inhabited around 3,000 years ago by migrants of the Philippines. Palau has a population of only 21,729 and is economically dependent on its tourism and fishing industry. 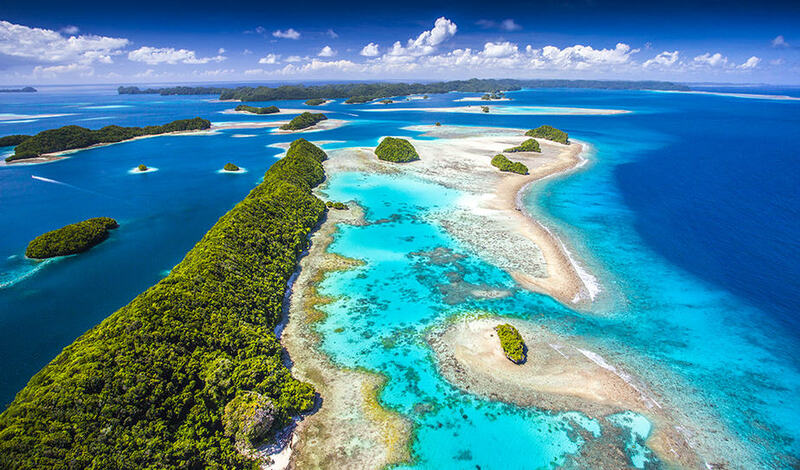 Interesting Fact – The first shark sanctuary in the world was created in Palau in 2009! 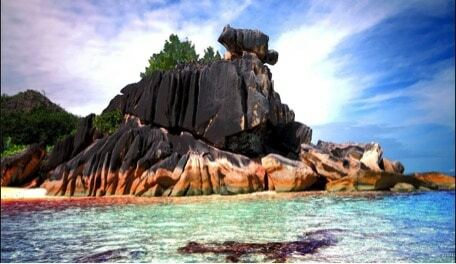 Republic of Seychelles – The smallest country in Africa. This beautiful island country is located in the Indian Ocean, off east Africa. It gained independence in 1976 from UK and then started enhancing its agricultural, public and tourism sectors to enrich its economy. Although Seychelles has the highest nominal per capita GDP in Africa, it records widespread poverty which is a paradox! The population of Seychelles is 95,843. Interesting fact – Seychelles has the world’s heaviest tortoise named Esmeralda! Antigua and Barbuda – The Land of 365 Beaches. Explored by Christopher Columbus in 1493, this island country is located where Caribbean sea and Atlantic ocean meet. This CommonWealth Nation became independent on 1st November 1981. It is known for its white and pink sand beaches and so is dependent on tourism economically. A grand national carnival is celebrated every year to mark the abolition of slavery. It is a cricket crazy realm Which houses 1.02 lac citizens. Interesting fact– The island’s highest point was named “Mount Obama” to honour American President Barack Obama on his birthday! Barbados – The Land of Flying Fish. Amerindians were the first inhabitants of this beautiful island country placed amidst the Atlantic ocean. The sugar dependent country gained its independence on 30th November 1966. This commonwealth realm with British monarch is 53rd richest country of the world and has a population of 2.86 lac. 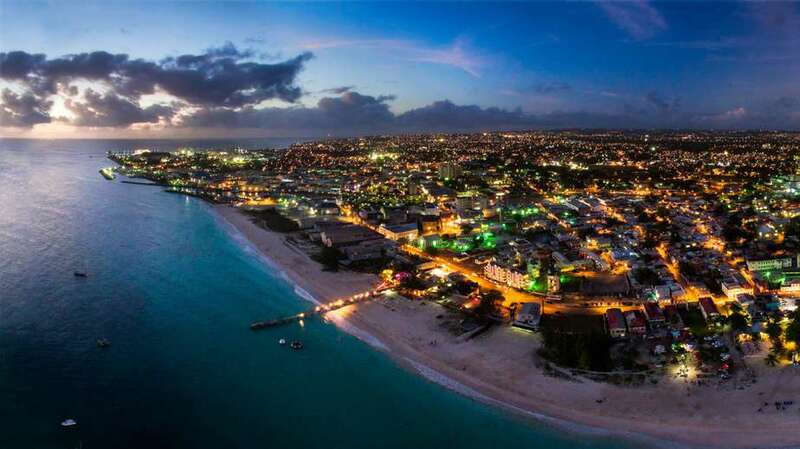 Barbados is now more popular for its tourism because of the magnificent natural beauty it is bestowed with. Interesting fact – Rihanna, the famous singer and songwriter, was born and brought up in Barbados till the age of 16! Saint Vincent and the Grenadines – The country with gold, black and white sand beaches. Known for its flora and fauna this country is located in Lesser Antilles Island arc, in the southern portion of Windward Island. The country was ruled by French and Britishers before it gained freedom on 27th October 1979. It has a populace of 1.1 lac and banana cultivation is the occupation of the lower and middle-class population. The country has the most fertile soil in the world. Interesting fact– Pirates of Carribean I, II and III were shot in Saint Vincent! Grenada – Island of Spice. Grenada, world’s largest exporter of nutmeg and mace crop, is located in West Indies. It is situated in the Caribbean sea at the southern end of Grenadines island. Captured by French and then by British rulers, Grenada was freed on 7th February 1974. 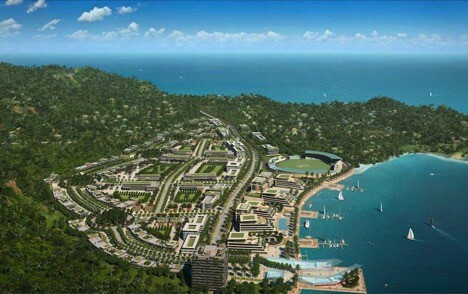 Grenada, home to 1.08 lac people, is under heavy external debt and lives on tourism and spice production. Interesting fact – Grenada has the world’s first underwater sculpture park called “The Molinere Underwater Sculpture Park”. The Republic of Malta – The Country with more tourists than residents. Malta is an advanced economy today, which was earlier under British rule because it is an island country in the Mediterranean sea and was used as a ship station by Britishers. Malta became a republic nation in 1974. It’s capital city Valletta was the first ever planned city of Europe. 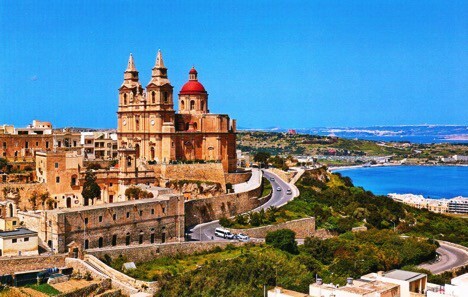 According to UNESCO Valletta is one of the most concentrated historic areas of the world. Malta has a population of 4.6 Lac and a very popular tourist destination because of the immense cultural beauty it has got. Interesting fact – Many scenes of Game of Thrones were shot in Valletta’s photogenic sceneries! Republic of Maldives – The smallest country in Asia. Founder of an important organization called SAARC, Maldives has a very low economy. The island country is situated in the Arabian Sea and was referred to as “Money Isles” by the Arabs. The country achieved independence in 1965 and is dependent on fishing and tourism industries. The Maldives used to supply cowry shells- an international currency for early ages. The lowest economy now and Money isles once! What an irony for 4.36 lac Maldivians residing there! Interesting Fact – Every resort in the Maldives has its own private beach! 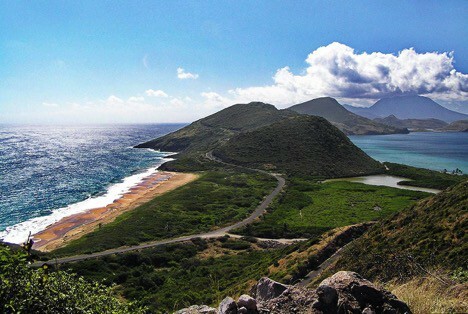 Saint Kitts and Nevis – The smallest country in the Americas and the Western Hemisphere. Also known as Federation of Saint Christopher and Nevis the island country is located in West Indies in Leeward Islands. The country was the first one to become British and French colonies and thus is also referred to as “The Mother Colony of West Indies” which got fully independent from UK in 1963. With a folk of approximately 55 thousand the country is economically dependent on agriculture, tourism and light manufacturing industries. 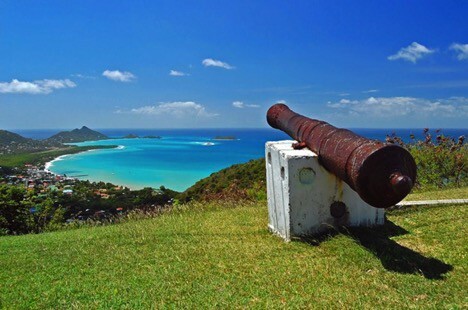 Interesting fact – Saint Kitts and Nevis has a complex history. At one time it was occupied by French from two ends and by Britishers from middle! Republic of Marshall Islands – The country near the International Date line. The island country is located near the equator in the pacific ocean and has a population of roughly 53 thousand. On May 1, 1979 the constitution of Marshall Islands came into effect and the peculiarity of it is that it contains both British and American concepts. The island is considered to be the best in the world for scuba diving because it has got beautiful aquatic creatures and vegetation. Shipping is the main occupation of the residents of Marshall Islands. 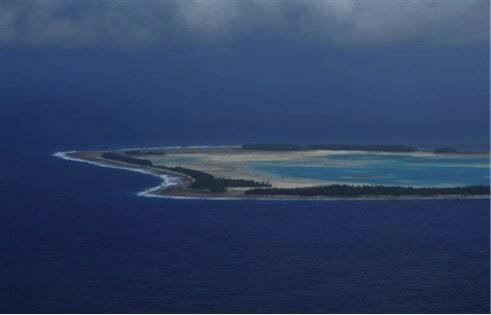 Interesting Fact – Marshall Island was the first one to launch its own cryptocurrency! Principality of Liechtenstein – The country manufacturing false teeth for Bollywood. 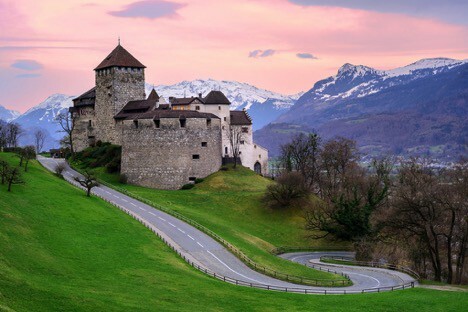 Liechtenstein is situated between Switzerland and Austria with a population of 37,810. It has the world’s highest GDP for purchasing power parity and the living standards of the people in Liechtenstein is the highest. The country has an official lunch break hour and strict rules are there to maintain silence during that time and after ten in the night. Also there is a tradition of inviting the whole country to the king’s palace for a grand party once in a year. Interesting fact – Snoop Dogg once tried to rent the whole Liechtenstein for one night just in 70,000 USD! 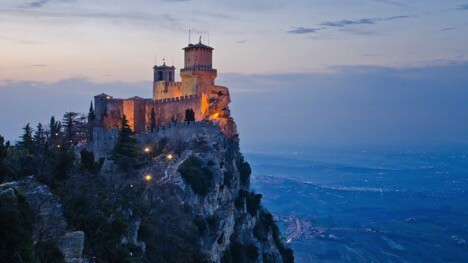 Republic of San Marino – The oldest constitutional republic country. This heavenly microstate, with 33,400 residents, is surrounded by Italy. The country lives on industry, tourism, services and finance with a whooping GDP of 165.88 crore USD. The Italian city-state proudly claims that it has remained independent till date and it is the only Italian realm to do that. The constitution of this nation is the oldest and is still in effect. Visitors to this microstate refer to it as a fairy tale. Interesting Fact – San Marino is a country where the number of vehicles is more than the number of its citizens! Tuvalu – The Smallest Commonwealth realm. 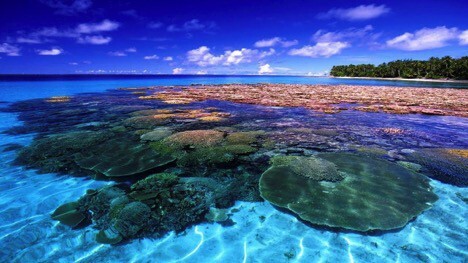 Formerly known as Ellice Islands this polynesian province is situated in Pacific ocean, amidst Australia and Hawaii. This country, with a folk of approximately 11 thousand people, became an independent commonwealth realm on 1st October 1978. The country has beautiful marine life diversity and Funafuti Conservation Area is the main attraction for the tourists. The main source of income here is fishing sale licences and Tuvalu Trust Fund. 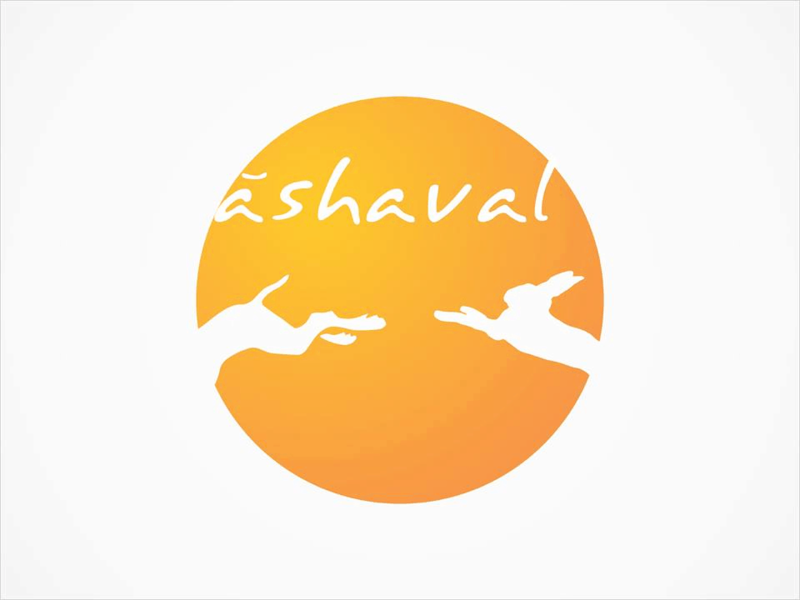 Interesting Fact – Tuvalu earns 50 million USD doing nothing but just from the lease of its domain which is “.tv” ! Republic of Nauru– The Smallest island country. This winsome island country is lodged in central Pacific. 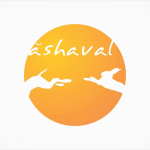 The island country has a populace of 13,649 and an economy of 11.39 crore USD. It became autonomous in 1968 and is the smallest country that is not a city-state. 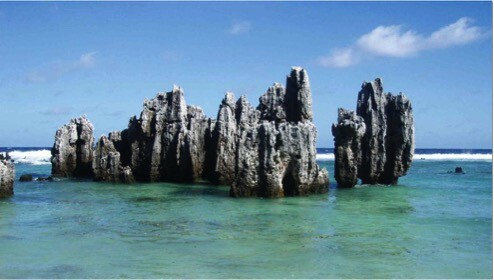 Nauru is one of the phosphate rock island of Pacific Ocean. This small province was once the richest country owing to its phosphate reserves which are now depleted. Interesting fact – Nauru is the smallest republic country! Principality of Monaco – The smallest country with a coastline. The most densely populated sovereign state is located in French Riviera with a population of around 38 thousand people. 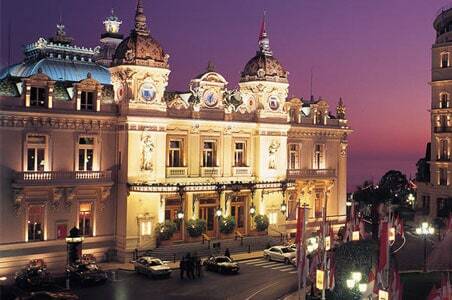 The realm is best known for its casino Monte Carlo but ironically the citizen are not allowed to gamble in Monaco. James Bond is pictured to enter this casino in three of his films. Also other hollywood films like Iron Man- 2 and Madagascar- 3 were filmed here. Organiser of second highest number of Grand Prix, this state has highest number of per capita police, millionaires and billionaires. Interesting fact – Monaco is the same size as of New York City Central Park! 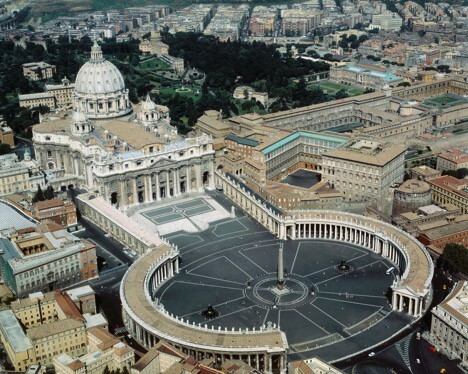 Vatican City State – The smallest country in the world. This tiny province is placed within Rome with only One thousand people residing in it. The country is ruled by Pope- The bishop of Rome and its official Italian name is Stato della Citta del Vaticano.The realm is supported financially by sale of stamps, medals,coins and by entry fees of museum and sales of publication. St. Peter’s Basilica is world’s second largest Christian church. Also this country is one of the two countries in the world that do not have divorce laws. Interesting fact – In Vatican City more wine is drunk per capita than any other country in the world! Well this was a long list of countries smaller than our Ahmedabad! Pretty interesting? Well let us know your views in the comments section below. Have a nice day and keep checking our blog to know more such interesting things about Ahmedabad! An engineer who recently discovered that writing might be her forte. Ambitious!Keen on trying new things. Bollywood crazy. Particularly old-school! Paradoxical!